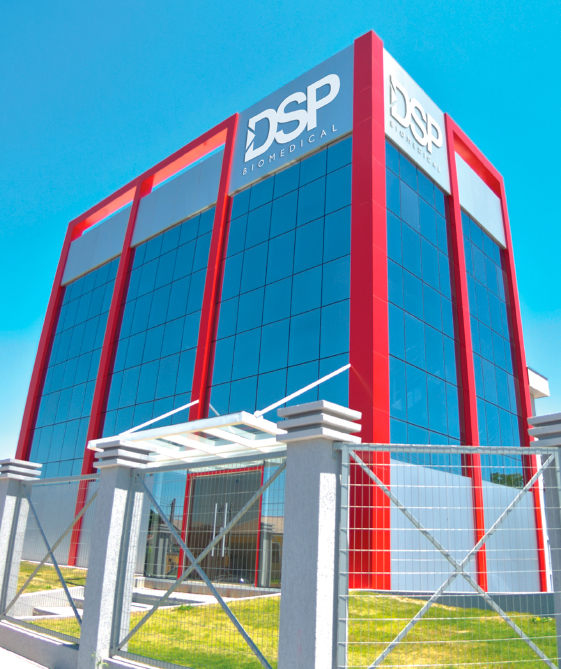 DSP Biomedical was born in the city of Campo Largo, in the state of Paraná. Our team is made up of specialists in the areas of dental medicine, chemistry and engineering, working in the segment of implantology. We create, produce and market our products, offer various types of training and invest in science and technology. 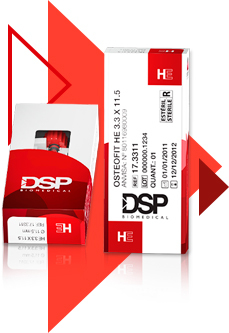 DSP Biomedical has united the practical experience of the most qualified health professionals with the precision and the technique of the engineering professionals to create the best and most innovative products in the areas of dentistry, oral and maxillofacial surgery and implantodontics. The result can be seen in the smiles of patients and in the quality of life they conquered. 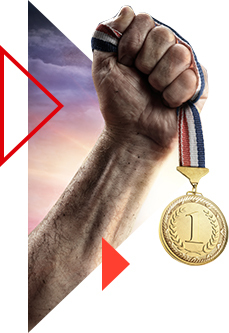 For DSP Biomedical, the satisfaction of its customers is paramount. 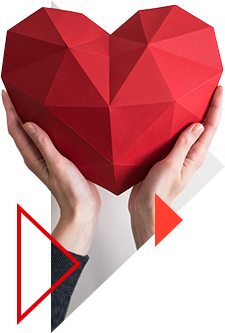 That is why we have a constant commitment to seek new technologies to manufacture high quality dental products, at a competitive price, establishing an excellent cost-benefit ratio in the market. São as futuras gerações que vão tornar o mundo um lugar melhor e mais feliz. Por isso, a DSP Biomedical investe constantemente em projetos sociais que ofereçam novas oportunidades às crianças. Um compromisso que começa hoje e vai fazer a diferença no futuro. A DSP Biomedical foi reconhecida e registrada pelos maiores institutos de qualidade e está apta a fabricar, comercializar e exportar produtos nas áreas da Odontologia, Cirurgia Bucomaxilofacial e Implantodontia. Para produzir os melhores produtos odontológicos e satisfazer às necessidades do seus clientes sem agredir ou poluir o meio ambiente, a DSP Biomedical trabalha dentro dos padrões vigentes e das legislações ambientais e sanitárias. 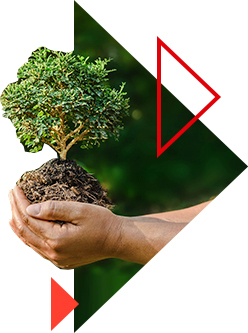 Práticas como essas comprovam que sorrir por completo também é fruto de respeito, equilíbrio e harmonia com o meio ambiente. As novas embalagens IV (Inteligente e Versátil) foram projetadas para evitar o contato mecânico externo contemplando as movimentações sobre superfícies. Possuem abertura inteligente sem enrosco com tampa retrátil. Mais uma vez, a DSP Biomedical pensa no seu conforto dando praticidade e segurança à prática profissional. The DSP Biomedical industry produces the most complete product line for dental procedures, oral and maxillofacial surgery and implantodontics in the national market. They are more than 1,500 items manufactured by thousands of precision equipment, projectors of measurements and optical microscopes of measurement to guarantee the maximum quality and the best finish. The combination of biological reliability and intelligent systems results in precision products in the assembly of implants and prosthetic components. This work practice is registered with the Ministry of Health, through the National Agency of Sanitary Surveillance (ANVISA), which certifies the quality and competence of DSP Biomedical. COMMITMENT TO MAKE THE BEST PRODUCT ACCURATELY. Sandblasted Large grift Acid etching. 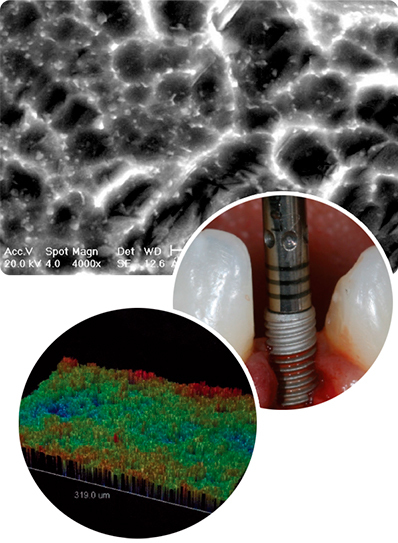 Threads of the implant totally inert, trough the MEV that promotes a nanotopographic surface, with peaks and valleys more similar, and a highly hydrophilic surface. Excellent for a good biologic tissue fixation. Comes from the Sandblasting process of big particules, that creates microrugosities on the titanium surface, followed by an acid treatment process neutralization, that overcome the microrugosities. Ideal topography for cells adding. 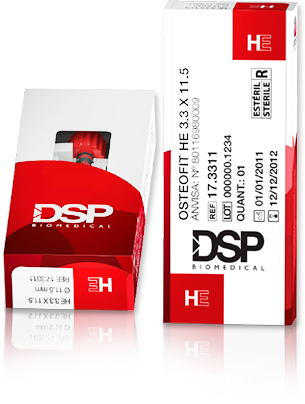 DSP Biomedical® was recognized and registered by the biggest quality institutes, and it´s fit to manufacture commercialize and export products on the Odontology, Bucomaxilofacial Surgery and Implantology. 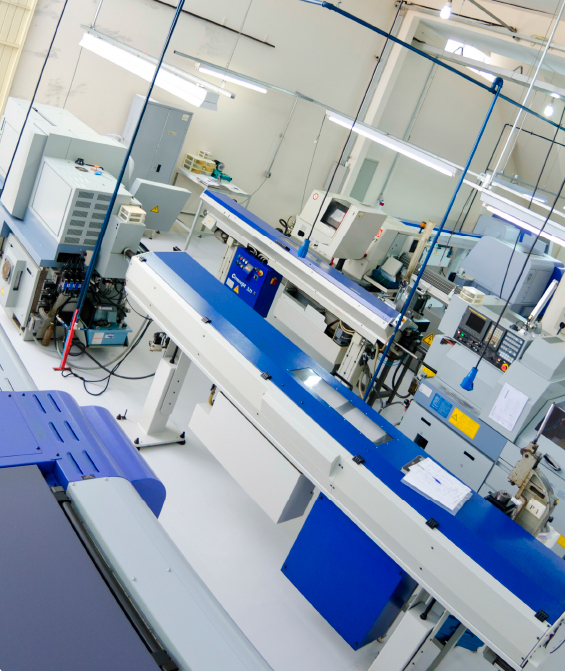 They are more than 1,500 items manufactured by thousands of precision equipment, projectors of measurements and optical microscopes of measurement to guarantee the maximum quality and the best finish. A DSP Biomedical preza pela satisfação de seus clientes. Por isso, a empresa quer informar, de forma clara e objetiva, que é possível ganhar em qualidade de vida com o uso de produtos certos e o auxílio de profissionais especializados na área de implantologia. 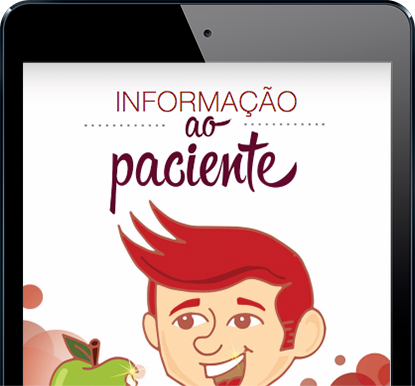 Confira nossa cartilha informativa e saiba detalhes sobre as inúmeras possibilidades de recuperar seu sorriso com o implante dentário.